The AGM will be held in the Condado Club on Wednesday, March 4th. Arrive at 7pm for a 7.30pm start. Please find below the running order for the evening. 42 players on Friday. a few spots of rain with overcast skies and a cold breeze. The sun eventually came out, but as it moved behind the clouds it was still cold. Again for some reason the scoring was remarkably low, although Dorothy Simpson found no problems on her way to an impressive 40 points. Well done to Fred, who turned the wooden spoon of a couple of weeks ago into a golden chalice! 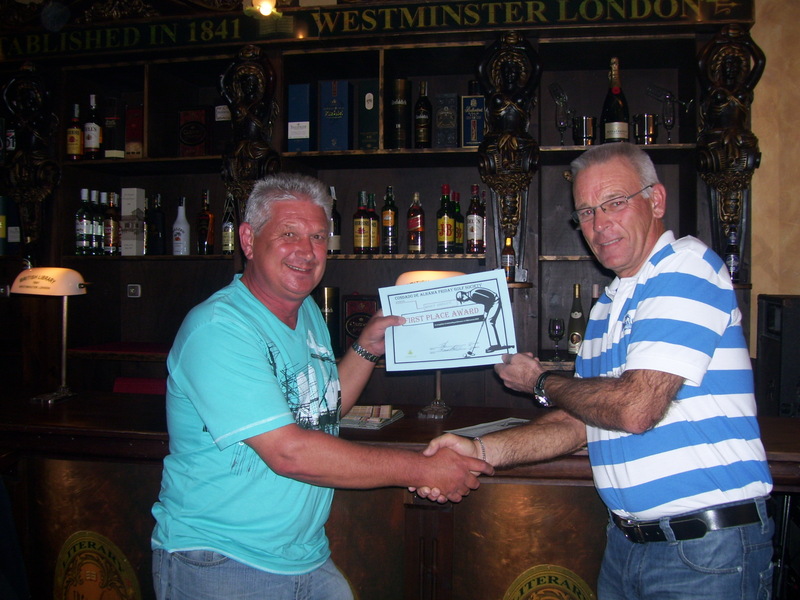 And once more Steven McOmish had 3 of his pupils in the prizes – why not give him a call at Hacienda del Alamo? Andrew (on left) was one of the select few to score in the buffer zone………..
Dorothy blew away the opposition………..
Next week is another individual stableford competition. The last call for committee nominations and motions at this year’s AGM passed on Wednesday, so no more can be accepted. I will post the subjects for discussion (and the agenda) midweek. Entries are now open for this year’s Viking Cup match between UK & Ireland and Scandinavia. Priority will be given to those who played in the 2014 match. The UK/Ireland players have until March 31st to secure their place, with the deadline for Scandinavia being June 30th. Apply by email to barry@cdagolf.com (UK/Ireland) and to jandskjold@gmail.com (Scandinavia). After those dates the places will be open to anyone else. Back to the old folks again this week…………..
Maurice, an 82 year-old man, went to the doctor to get a physical. A few days later, the doctor saw Maurice walking down the street with a gorgeous young woman on his arm. Yes, I am getting to that stage………..
A little old manshuffled slowly into an ice cream parlour and pulled himself slowly, painfully, up onto a stool… After catching his breath, he ordered a banana split. a winter’s view of the sierra espuna from the 8th fairway………. 46 players today, with good weather replacing the clouds and rain from the previous day, with a sprinkling of snow covering the tops of the Sierra Espuna. Again, the greens were fast, but several complaints were raised about the rough, which although only an inch or two deep gobbled up a player’s ball, slowing play whilst the search went on. Also it appears that the rough has been allowed to grow into the fairway, leaving a smaller target. The ladies tees, which were on the forward placings last week had been moved back to the blue positions, which caused problems at the start with all the cards given the red slope handicap – we tried to inform all to use the blue slope but may have missed some. There was a nice touch after golf when the chef gave the golfers a small tapa with each drink – a very nice and welcome gesture. Paul won this month’s Apollo Air ………………..
For some unknown reason, the Clover bar was packed for the presentation, which meant the girls brought home a record amount for the raffle. These proceeds are used for a variety of benefits to members – free buses to away venues, the cost of entertainment or a reduction in the price of an evening party. Another reminder that the AGM is 3 weeks away on March 4th. Applications for committee posts and motions to be discussed should be sent to bookings@cdagolf.com by Wednesday February 18th. Next week should have been Captain v President, but this has been put back to April 24th. So next week is a straightforward individual stableford. We have also finalised the dates for the 4 Dublin Crystal events. They are: March 27th; May 15th; July 31st; October 16th. The first 3 were down as individual stablefords anyway, with the last replacing the planned 4 person team event. Time for more jokes I think. In case I have offended any Spurs fans, here a couple about scousers…………………..
A young mother was pushing her baby along the street in London when suddenly a huge rottweiler dog lunged towards the pram, gnashing its teeth. The young woman thought for a moment that the dog would kill them when suddenly a man rushed over, wrestled with the rottweiler and broke it’s neck with his bare hands. “No you can’t write that!” replied the man. “But why not?” said the reporter. “Because I am not an Arsenal fan, that’s why!” replied the man. “You can’t write that either,” said the man. “Why not?” asked the reporter. “Because I am a Liverpool fan!” replied the man. The course opened on December 23rd 2009, and in only a couple of weeks it was obvious that many players went out on their own, not knowing anyone on site. Polaris did nothing to solve this problem, so Dave Lloyd called a meeting in the Clover at the end of January 2010……….. As Dave wasn’t resident, Graham White and Barry Barker offered to take over the week to week running of competitions, with Cath Emmett-Smith helping with the certificates etc. There were only 12 players in the first competition on January 29th 2010 but in the first year this increased to over 40, with over 400 different players taking part in competitions. .
. As we started from scratch, we charged 3€ entry, which helped to buy the first trophies. with everything else paid out to the winner. The first year just had captain’s day as a major, with the party being held in the garden of naranjos 4 with a hog roast outside Graham’s apartment. The other significant event of 2010 was the informal challenge match arranged between the Norwegians and the Brits, during a party on the balcony of Karin & Torkild Dahl. Barry Barker and Jan Skjold managed the organisation, and the first game was 14 players each side and was played at Saurines. The UK won that first event, but it was to turn into the biggest event of the society’s calendar, with 92 players taking part (with a reserve list) in 2014. Both teams now look very impressive in their contrasting red and white. Some society members felt left out, so the teams were extended to UK & Ireland versus Scandinavia. Winners have alternated with Scandinavia holding a 3 – 2 advantage at the moment. After the first year it became apparent that we had created a monster, so we needed help and formed a committee early in 2011. We appointed volunteers for the crucial posts of secretary, treasurer, competitions, handicaps, and social events. Also introduced was a constitution which laid out our aims and rules. Membership topped 800, and each week more and more golfers played with us. That second year brought more major competitions, based on the framework traditionally used in UK golf clubs. We had the Graham White pairs strokeplay at easter, president’s day in June, the Barry Barker individual strokeplay in July followed by captain’s day again in August. By some miracle, the photo below shows the course the day after captain’s day!
. We have had a number of homes – first the Condado club (as it is now) run by Herbert, who opened late and closed early, then onto the Clover bar run by Polaris (again run for the benefit of the staff, not the customers). When the Simpson family took over the Condado club we went back there, and finally back to the Clover when Neil and Lynn took over (thanks for our own area behind the cocktail bar which now houses all our trophies). In addition to our constant moving of our base, we also have had several changes of course management. At the beginning it was Polaris World, then Global Golf followed by Olagolf. We now have had some continuity with IRM managing all 6 courses in-house. The fantastic golf clubhouse we were initially promised never happened, but we were immensely grateful when IRM converted the old sales office into the clubhouse we have now, between the range and 1st tee. In 2012 more majors were included, with the Seve Trophy (started to remember Seve’s passing the year before) being the big one. Lots of money raising events and a total ot 4,500€ raised for cancer research. The ladies and seniors events were added. The current total of 9 majors is probably the optimum, with the 4 individuals (Captain’s, President’s, Seve & Strokeplay) forming the grand slam of individual majors. The monthly competition sponsored by Apollo Air has also become an important part of our calendar. Again, we had another gota fria, but it was not as devastating as 2010. 2013 was again a good year for the society with the framework now in place and it was just a matter of turning up and enjoying the competitions and social events on offer. However, it was also a low with course and membership issues. The lakes looked very sad with no water in, only sufficient to keep the course irrigated. Also the individual memberships of the course with the management company was withdrawn to be replaced with membership of the 6 courses as a package. This was not popular with our residents who bought on Condado to play Condado – the other 5 courses were too far away. Last year, 2014, saw a big improvement in the course, with 4 of the 5 lakes looking like lakes again. Also the course was in great condition, with the greens being as good as any in Spain. Also different options were offered for membership with choices of 3, 6 or 12 months membership (of the 6 courses) available plus other offers.
. So everything is now running smoothly and we can expect another great year for our members. Just one last point though, I think thanks should go to Phil Tann (our treasurer) who is a computer whizz kid, and has brought us many innovations to make the society easier to manage. Perhaps this blog is probably the first, as it has run since the very early days of 2010. Although I write it, Phil set it up and has translated it into Norwegian and Spanish to aid our non-English speaking friends. The handicap list and members list is there for anyone to check, and advertising has helped to support the society. Also set up is an automated handicap adjustment linked to players scores when they are keyed in after a competition. The winners are immediately ranked from the scores keyed in saving time and improving accuracy. The weekly start sheet is on computer and each player’s handicap is linked to their name – when it is keyed in the handicap (and slope shots) is inserted into the sheet, also information as to whether that player ia a paid up member. Then just press one key and all the scorecards with players name, handicap, start time and competition format is produced – no time consuming writing out of cards for us. So the manual system myself and Graham used in year one is a thing of the past. I think this blog has perhaps provided our members with a service. This is the 400th blog and 260,000 views have been recorded. The busiest year was in 2013 when we had 75.000 viewings, with the record day following the Viking Cup in October with 705 views. 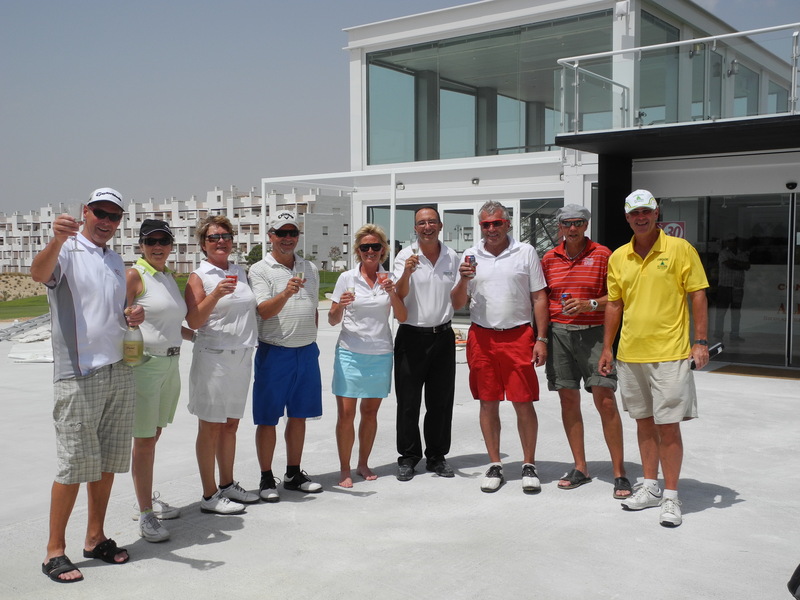 So we have organised golf for probably over 1000 players, and just as important is the social effect we have had on Condado, bringing together residents and guests and helping form friendships. So many good memories as the previous reminisences show. I hope you all enjoy reading this weekly blog, and that it is informative, and at times, funny. Next week back to normal. the flags were blowing on the putting green….. This week we had 40 players in our first major trophy of the year played with a drawn pairs format. A cold day, with wind increasing during the round. Thanks to Tony Morton who provided the prizes for the winning pair – a watch-style range finder for each player. 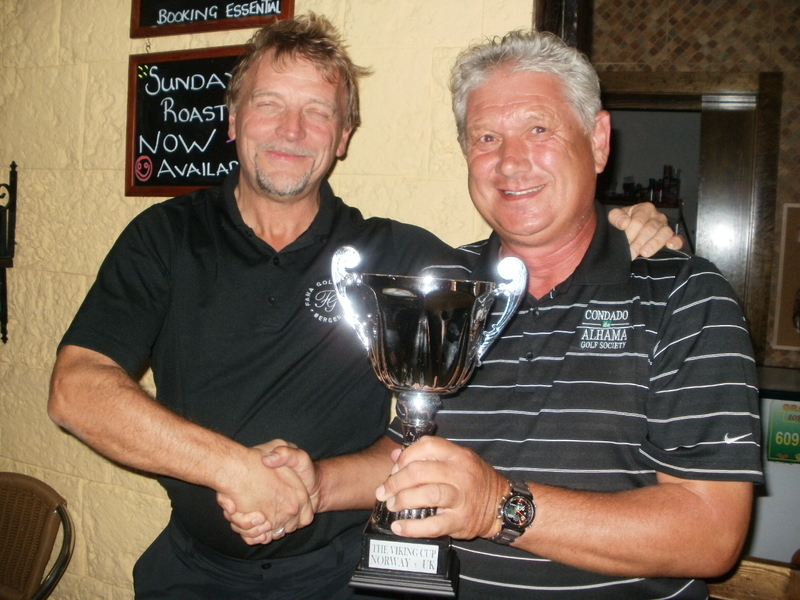 Last year’s winners, Mick Parsons and Simon Newlove were both in the prizes again. 2nd place went to Sue & Kev……..
Peter Mitchell was devastated when the head of his calloway driver flew off on the 4th tee – not because his club was broken but because his new ball shot off into the lake! not held together very well!…………. not surprised that Dave couldn’t get his shirt on………he’s got 4 arms……….. Arrangements are now complete for Dave Lloyd’s captain’s day competition on June 5th. With hollow tining only completed the day before, we have decided to play elsewhere. Haciendas del Alamo is the chosen venue, and it should be in great condition with their club championship only a few days after. It is a good course, and anyone who has played there will already know what a professional setup it is, with an academy course, superb practice facilities and a clubhouse second to none in the area. Another option was Aguilon who gave us a good price, but Hacienda was booked. Aguilon have given us a good all year round deal of 38€ with buggy for any of our members. Next Friday is the Apollo Air individual stableford. Applications also for committee roles of secretary, treasurer, competitions secretary, social secretary, subs secretary to the same address. Watch out for the final post on our 5 year celebration midweek – a summary of important events. A big part of the society has been the social side – so many friendships have been formed through meeting others on the golf course, in the bar and at our organised parties. I have so many photos to remind us of the fun times we have had, and it has been difficult to select just a few to illustrate how much we have enjoyed them. Here are a few………..
Lots of venues – we have been to the Clover, Condado Club, and the Bulgarian on site, and further afield……..La Caverna, Los Balcones, Hacienda del Alamo G.C., Camposol G.C., Sensol hotel, Trevi bar, Mariano’s, Bora Bora, Amapola, Copi Coy, a lot of variety in 5 years. a good pool party in July…………..
another full house at Los Balcones…..
waiting for the result in Mariano’s………. the Norwegians like a good party – this time in the trevi bar……. the ryder cup party at the Clover……. I don’t recommend the food in the Clover……those pizzas are hard to digest!……. could have an alcohol problem…..
no, they weren’t drunk (at least not on this occasion) …. they were hypnotised…. our society really are a friendly lot……………. if you haven’t got a bottle opener and you really need a drink…..
we all like a good measure…..
Phil likes a good drink!…..
need to stock up in case there’s a flood…..
And this is what alcohol can do to you……………..
fixed up with a blind date?……..
a new craze….. a mixture of Norwegian and irish folk dancing ………. even the guys can dance around the handbag……. Elvis requested an audience with his hero Dave ‘Delilah’ Lloyd…..manager colonel Tom Simpson arranged it………. 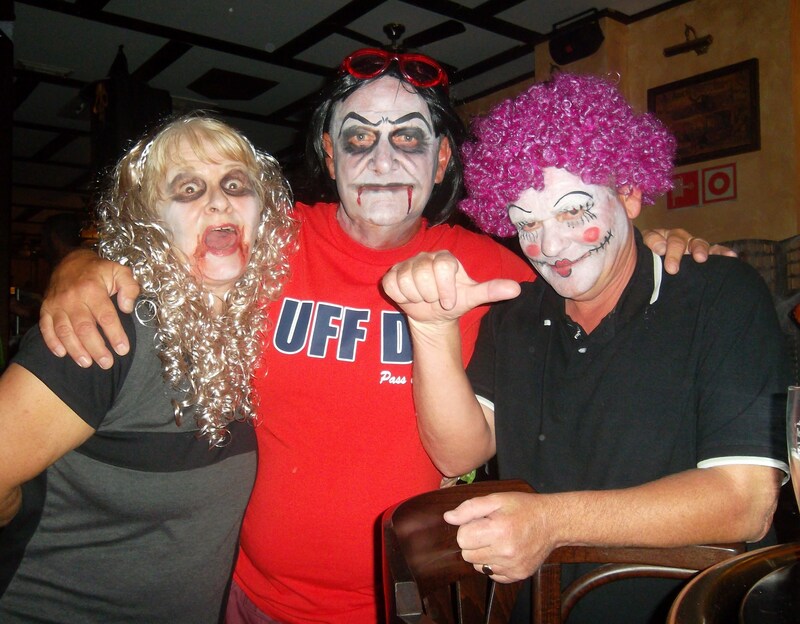 even non-golfers have a good time with us………. 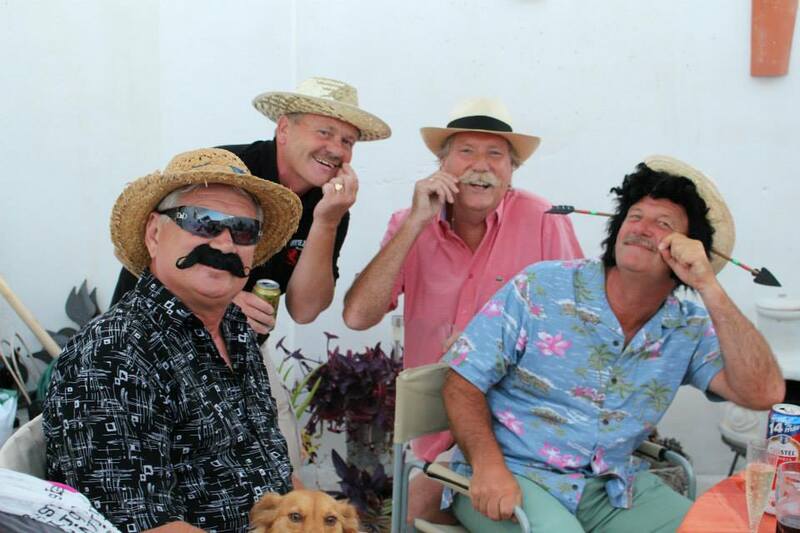 one of our favourite watering holes……the shed……..
We are game for a laugh and below are many unusual views of members. looks like an irish competition……. yes, this is one of our lady golfers…….Karin without makeup…..
Barry is old enough to remember the 60’s……..he was there, but had a smaller jacket then………. the secret life of Barry & Larry…..
Obviously quite shy…..don’t like to stand out in a crowd……. 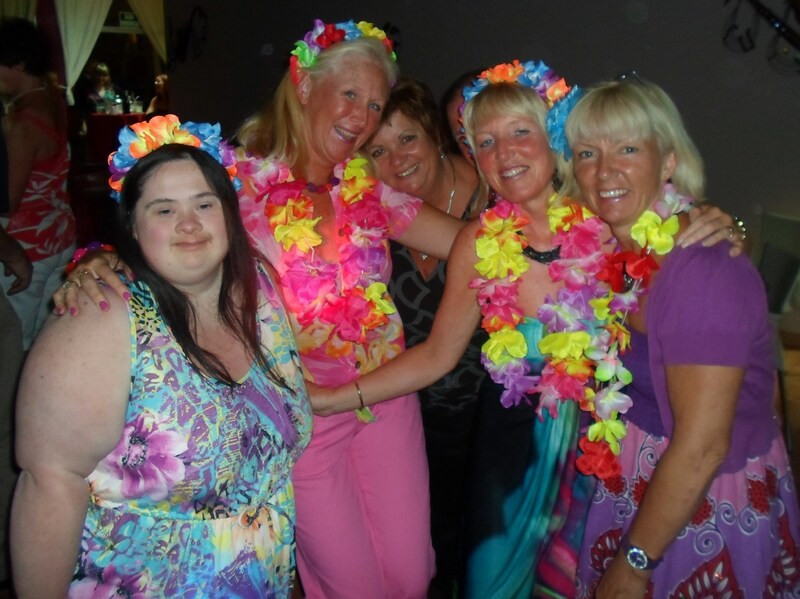 even the bar staff join in….. In May 2012, the society held a variety of events to remember the death of Seve Ballesteros 12 months before. A fantastic effort, and a magnificent total of 4,500 euros was raised for cancer research. On his death, it was intended to donate all monies from that week’s competition to the cause, but at the same time we had the devastating Lorca disaster, so they got our donation. Since 2012 the competition has been designated as a major and a charity event. Proceeds for the last 2 years have gone to our own CPR. a great effort from everyone to raise 4,500€………..
And now for some nicer memories……………………………. does anyone remember daffy and Donald?……..
one of our famous visitors here in 2012……. The first Viking cup was played in 2010, and has now become our premier event. not many players, but it meant as much in 2010 as in 2014!………. 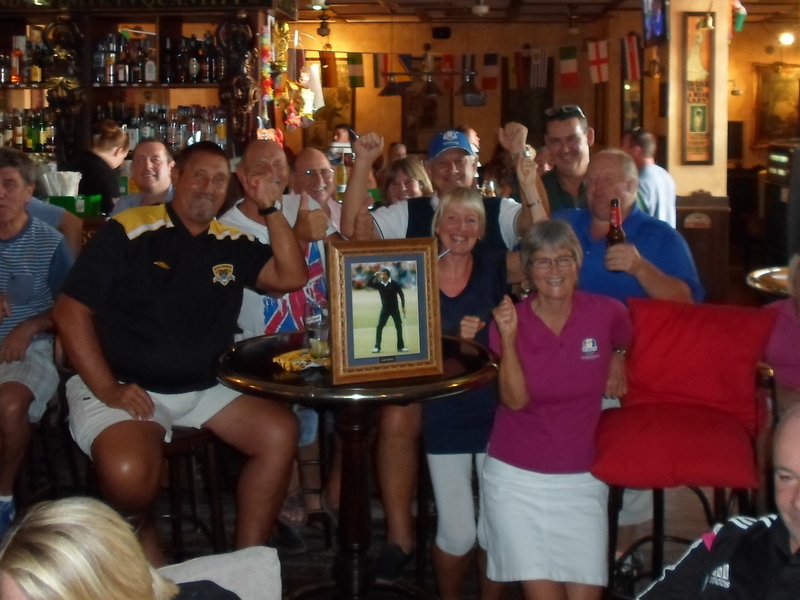 we had our own leaderboard at Hacienda in 2011……..
only a little prize, but what a great photo!……. just had to put this one in!………………..
We set off with 12 members and in 2012 we had 800. We now have a free diary, subsidised buses, free draw prizes every week, computerised handicaps and results, organised parties and entertainment, and everything is in place for our members to just turn up and play. So less talking this time, but pictures speak louder than words……………there is so much more I could have added, but we’ve had a great time, and I am sure there are lots more to come! Another difficult week for us with the ladies tees being closed for maintenance, and no doubt they will remain closed for next week’s major competition. This week we decided to let ladies play from the reds, but with slope allowance from the blues. This is still not ideal, with the blues sited on a mixture of forward and middle tees, however, the winning team this week contained 2 ladies, so maybe they are not so disadvantaged? A strong wind, but warm for a change (a sahara wind?) – everyone sat on the upstairs balcony after golf. the winners, Geoff, Sue, Kristin & Jan…. maybe if not golfing take your surfboard…..
Kjell Mundheim putting on 9……..
the match behind found an extra hazard on 15…..
Another problem has arisen with the hollow tining dates being changed. We were informed that it would happen at the end of May, now it is the week after. This will be completed the day before Captain’s Day, which makes it impossible to have the competition on our own course. We printed the diaries based on the information received, and many golfers have already booked flights, so this means that the event will have to be played elsewhere. We have had an excellent offer from a nearby course which, if taken up, will actually make it cheaper for our members. You will be informed as soon as a decision is made. Next week’s major (the Anniversary Trophy) will be a drawn out pairs stableford betterball. The draw will take place in the Clover on Wednesday at 19.45. As pairs are drawn, it will mean that IRM members must pay the 8€ green fee to be included – they can’t wait until after society times as they cannot pick their own partner. Any players who have not qualified (they must be members and have played in at least one qualifying competition) will be allowed to play at the end at society rates but cannot win. The evening party is now fully booked up. We were oversubscribed, so players did get priority. 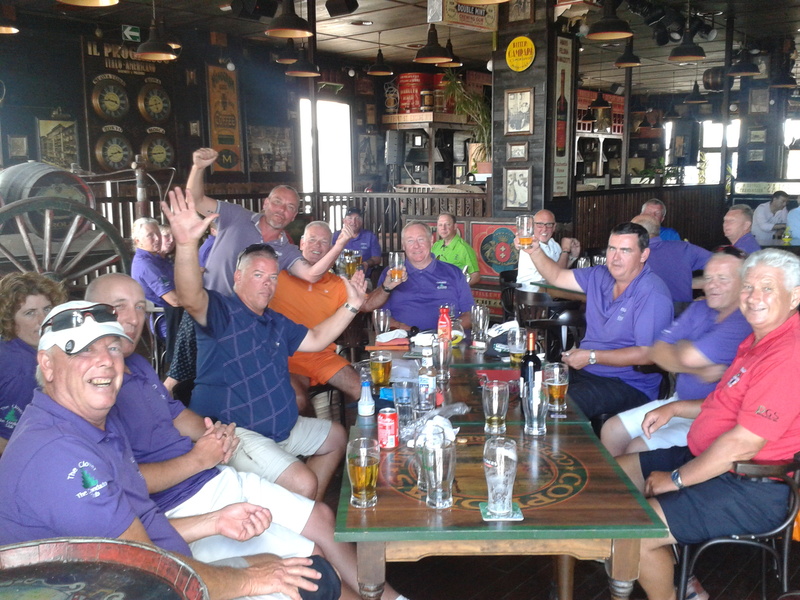 Last month we held the Irish Greensome at La Torre Golf. We had a very good turn out and the feedback we received was very positive. It seemed as though many of the participants enjoyed the format. For February (Saturday 28th) we will be organizing a 2 person team modified best ball. This event will be held at Saurines Golf and will be a 9.00 shotgun start. This will give all the participants a chance to check out the new pro shop and restaurant that will be open at Saurines Golf. We will award prizes for both Gross and Net scores. We accept federated or golf society handicaps. The entry fee is €13 for members of IRM Nike Golf and €45 for non members. If you are interested in playing please reply to this email with you and your partners names and handicaps. If you need a partner we will try and find one for you. 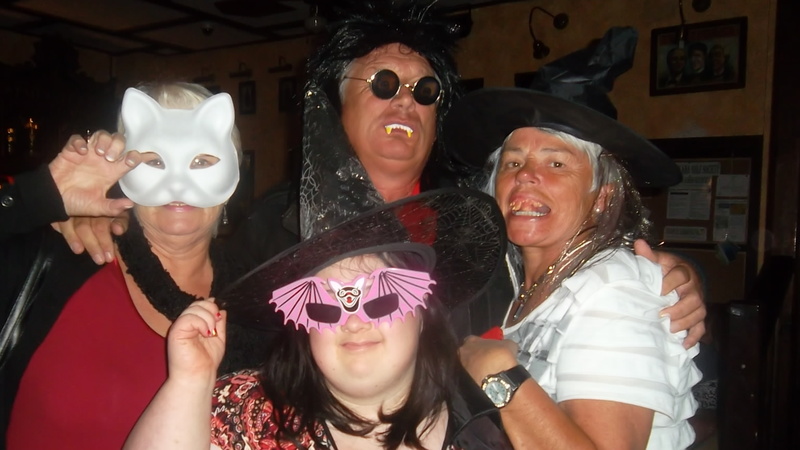 A reminder that part 3 of our 5 year review will be added midweek………….the theme will be parties and dressing up….. . Just to finish off this week I will start off my jokes section with a ‘seniors’ theme. ‘I’m coming too. I want to see how you live on $800 a year ..